Friends, today I have something simply divine to share with you!!! 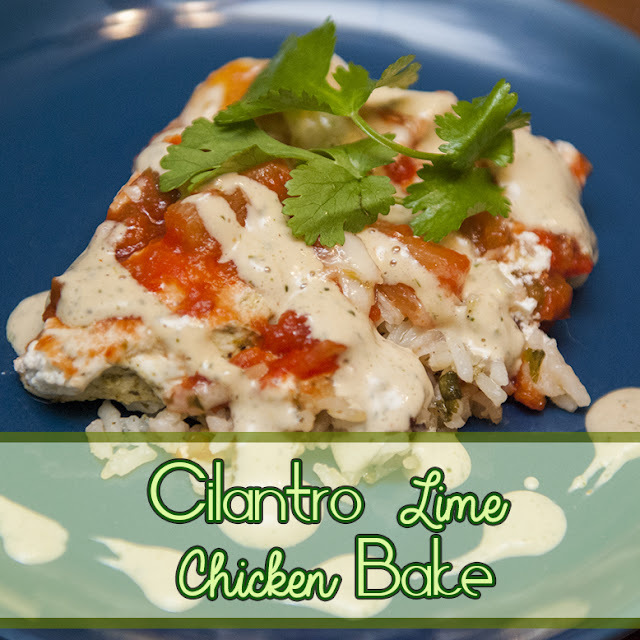 I stumbled across this Cilantro Lime Chicken Bake on Pinterest about a week ago. I told myself I was going to start picking one or two recipes from Pinterest to try each week. This was one of the first ones I tried. IT. IS. SO. GOOD. 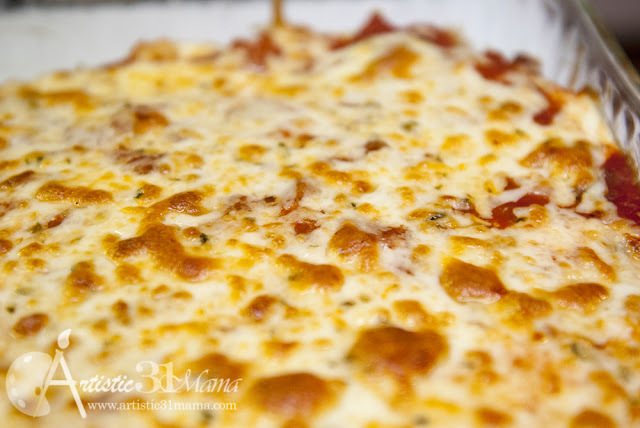 You can find the original recipe over at Sugar Baby Boutique blog. 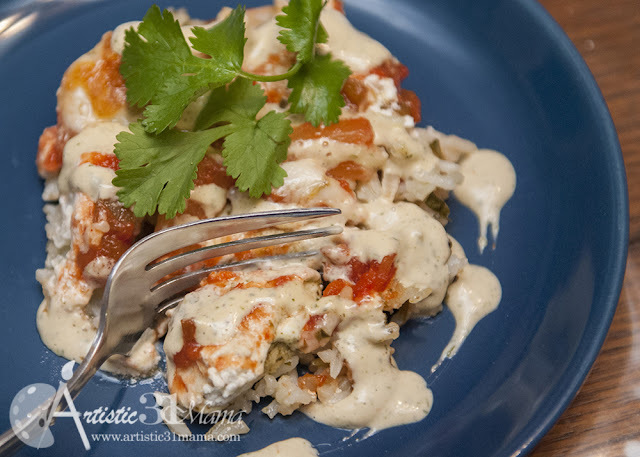 I made a couple slight changes to the original recipe but followed it for the most part. 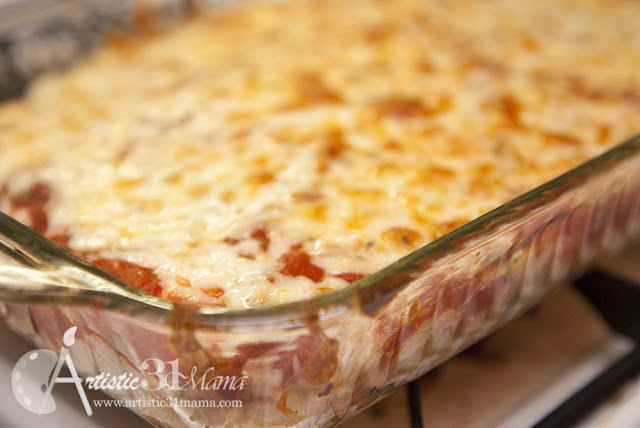 This has to be my new favorite casserole and comfort food! 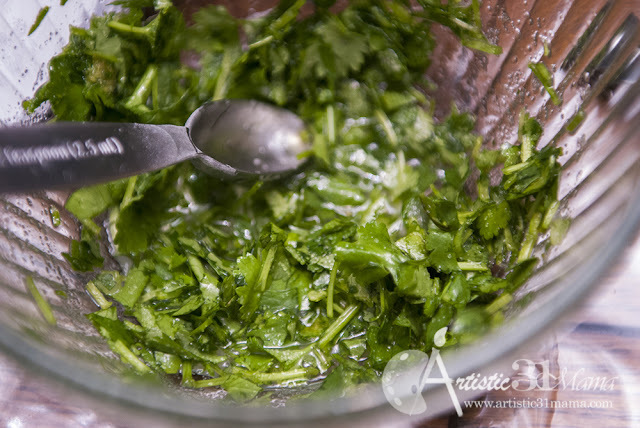 Remove the stems from the cilantro and place the cilantro, oil, juice, zest, garlic, sugar, salt, and pepper in blender. Blend on “chop” setting until there are no large pieces of cilantro left. Slice chicken breasts and soak in marinade overnight in the refrigerator. Combine 2 cups of stock and rice together and cook. In a small bowl combine garlic, lime juice, sugar and cilantro. 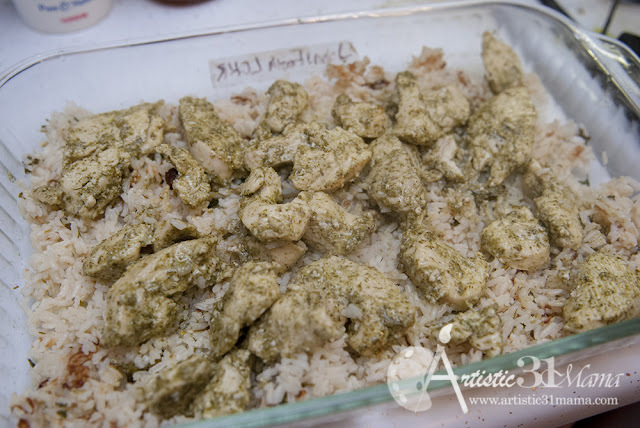 Once rice is cooked, stir in cilantro mixture and add rice to the bottom of a baking dish. 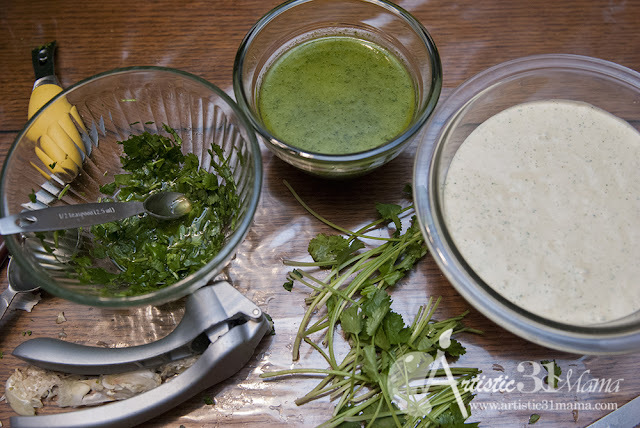 In blender mix ranch, tomato paste, cilantro, jalapeno, juice, salt, and pepper. Chill in refrigerator before serving. 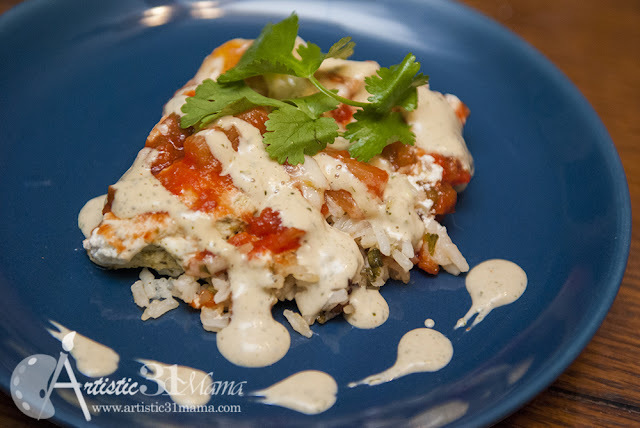 Layer the Rice, Chicken, Sour Cream, Salsa, Mozzerella. Use the Ranch Dressing to drizzle over each serving. 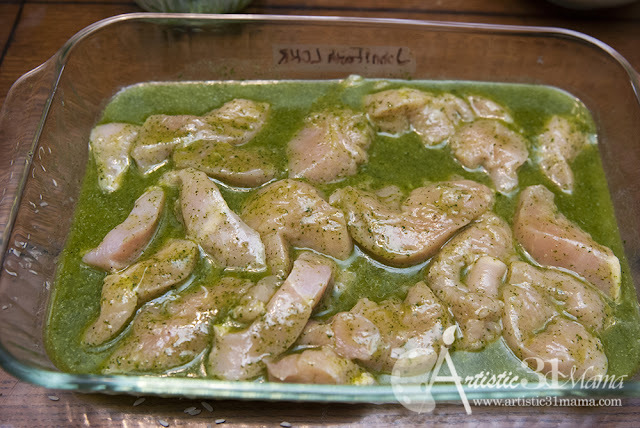 First you need to start off by making your marinade for the chicken. 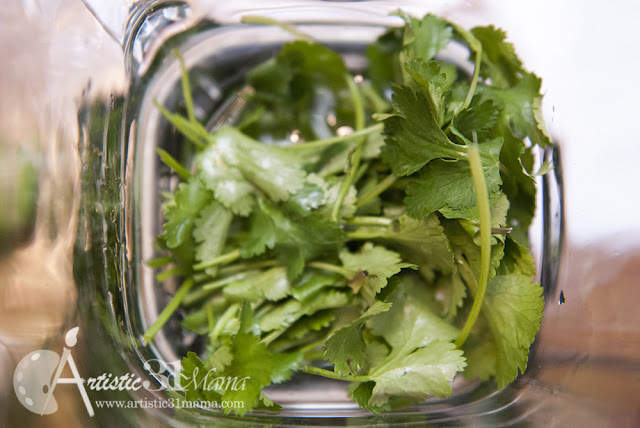 Cut as much of the stems off of the cilantro as you can. 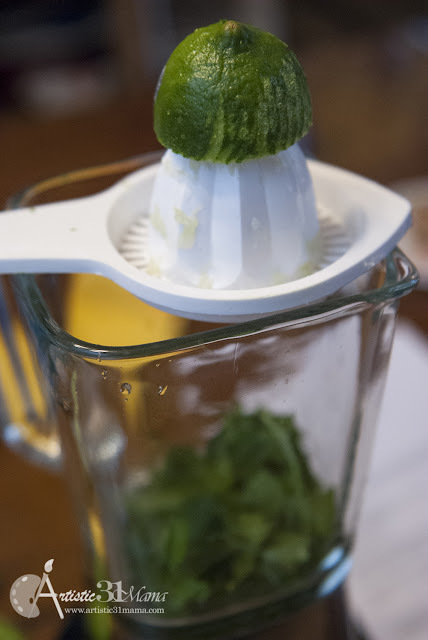 Place 1 cup of cilantro in the blender. Press two cloves of garlic into the mixture. 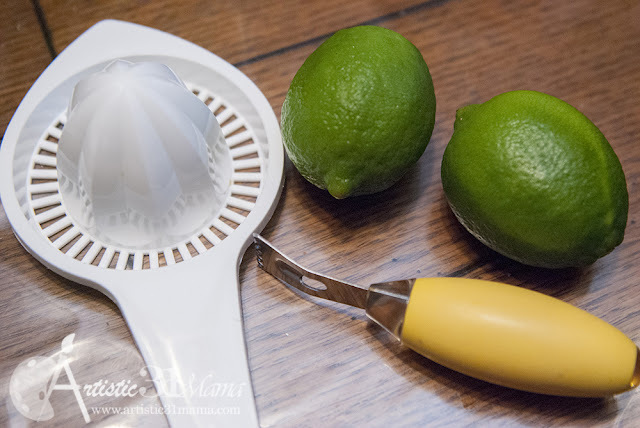 Next add the zest of two limes…. And the juice from two limes….. Finally add in your sugar, salt, black pepper, and oil. Blend on the chop setting until everything is combined and there are no large pieces of cilantro left. Slice the four chicken breasts into strips. 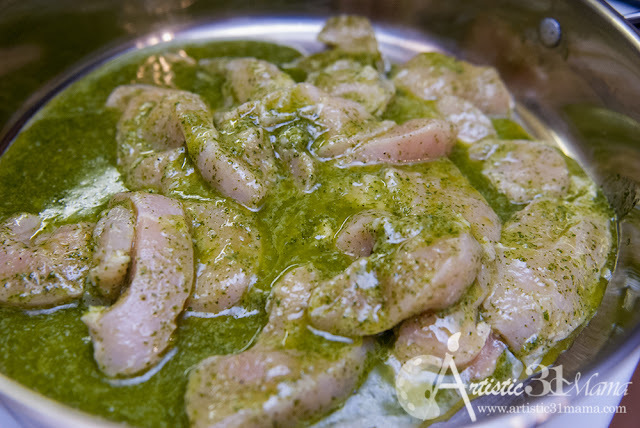 Pour the marinade over the chicken and allow the meat to soak in the marinade overnight or longer. 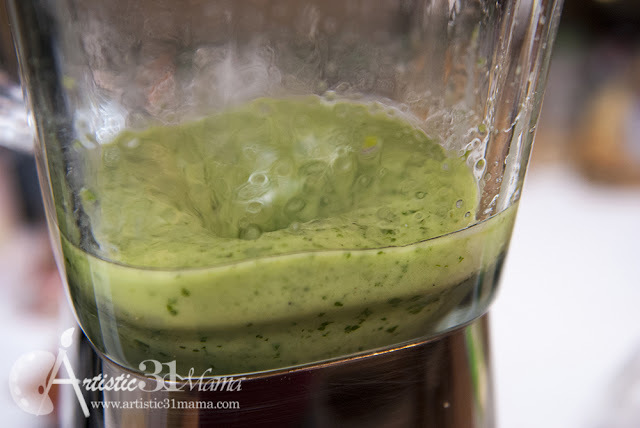 Next mix up ranch, cilantro, jalapeno, salt, pepper, tomato paste, and juice in the blender and place in the fridge to chill. (Picture at the far right). Next mix up the rice mixture. Place two cups of homemade stock (or store bought….homemade has a lot of health benefits if you have some) and one cup of rice in a rice cooker (or cook on the stovetop). Then in a small bowl combine pressed garlic, lime juice, sugar and chopped cilantro. Pull the marinaded chicken out of the refrigerator. Pour the chicken and marinade into a skillet and cook on medium high until chicken is fully cooked. 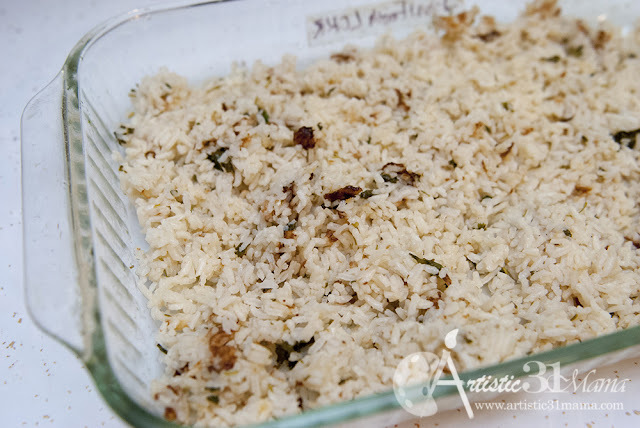 Once the rice is done cooking, stir in cilantro mixture and place in the bottom of a baking dish. Once the chicken is done place the chicken on top of the rice mixture. 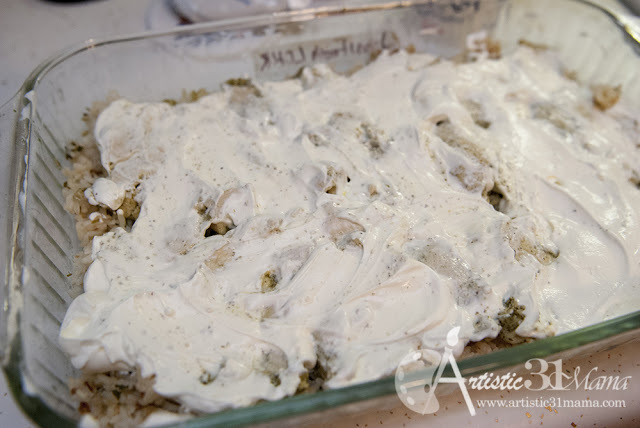 Cover with an entire container of sour cream. 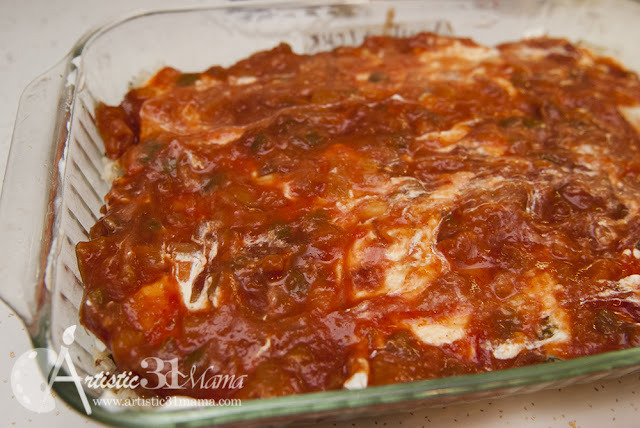 Then cover with the salsa…. 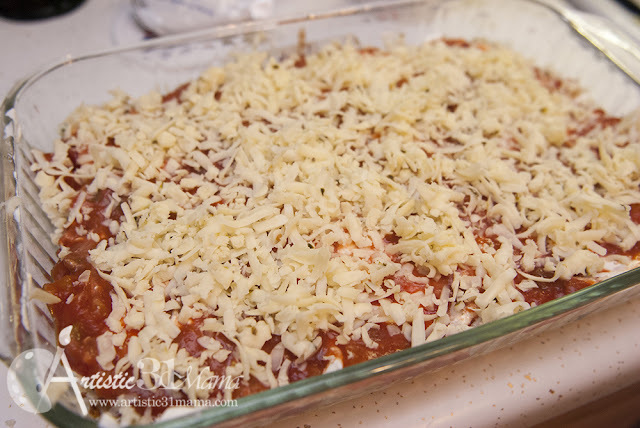 Bake this dish at 350 degrees until heated through (about 20 mins) then place the dish in the broiler for about 5-8 mins to crisp the cheese. So worth making! 🙂 Enjoy! How can you choose the best rollaway bed?